Community colleges in the United States are sprouting, and two of them find their place in Houston, Texas. 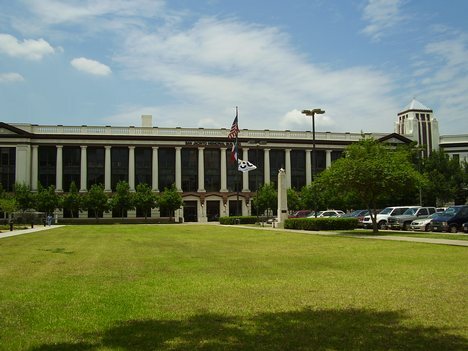 Houston Community College is one of the biggest and fastest growing community colleges in America. In the course of 40 years, the college has already served more than a million students. Every year, more than 55,000 students are being catered to by the college’s different branches spread out all over Houston. Accredited by the Commission on Colleges of the Southern Association of Colleges and Schools, HCC prides itself of its open admissions policy, extensive line-up of course options, and skilled faculty who care about their students. Class sizes at HCC are, in general, small, which enables a one-to-one teaching approach. HCC values freedom, which means that students are free to express their ideas and thoughts. It also gives importance to community mindedness, thereby encouraging open interaction with the members of the community. After graduation, students are given the opportunity to serve their respective communities – this is “giving back to the community”, something that HCC upholds. In order to apply to HCC, you need to present any of the following – a high school diploma, a GED certificate, or units earned from other colleges. It has to be emphasized, however, that getting into HCC does not necessarily mean that you can just simply get into any of its programs. Each case has to be evaluated, first, and you may be admitted temporarily, pending the accomplishment of other requirements. Another community college in Houston is Lone Star College System. Like HCC, Lone Star has also earned accreditation with the Commission on Colleges of the Southern Association of Colleges and Schools, thus it is able to award a number of Associate degrees. LSCS offers a wide range of technical programs and academic courses to help students develop their skills and widen their knowledge base so they can be more able to help their communities later on or be more prepared when they decide to pursue a four-year course. One of the great things about community colleges in Houston is the provision of support services. If it is your first time to be in college, the colleges help make your experience less overwhelming. If you are in high school, the institution provides you with the necessary support as well in the form of summer bridge programs or dual credit programs to make the transition from high school to college a smooth one.